You may think decorating furniture is easy, but actually how to decorate is not as simple as you imagine. In addition to practical and creative, home decorations also need to coordinate with your home's decorating style. Today we will teach you an elegant rabbit hanging adorn which matches the elegant and graceful theme. According to different decorating styles, or different personalities of hosts, selecting the appropriate elements of decorating furniture is also different. How to decorate depends on your own ideas. Don't know whether this hanging adorn attracts you? Dark blue background with white floral cloth can fully embody your decent taste. Draw two same circles on felt and cut them out. 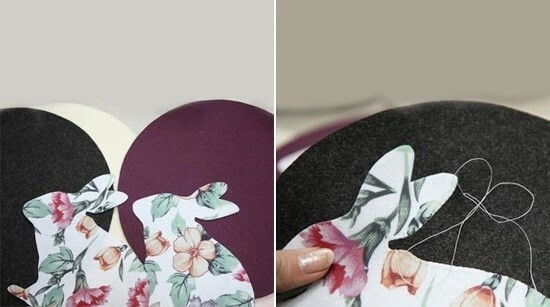 Cut two simple outlines of rabbit by tracing templates on cotton cloth. 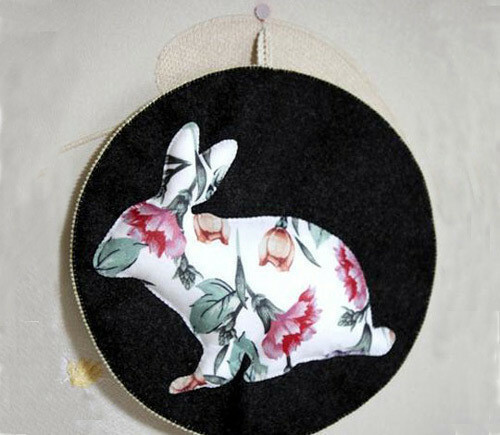 Place two pieces cloths of rabbit at the center of a circle felt; sew an overcast stitch along the edge of the rabbit with an opening. Stuff the rabbit with the help of tweezers through the opening. Don't need to stuff too full. 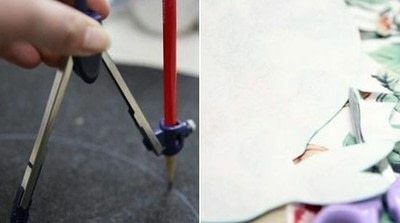 Sew the opening. 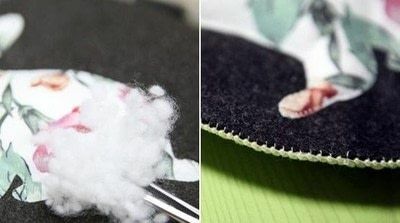 Align two circles; sew an overcasting stitch along their edges while adding a strip of lace as the hanging rope at the top of the hanging adorn.